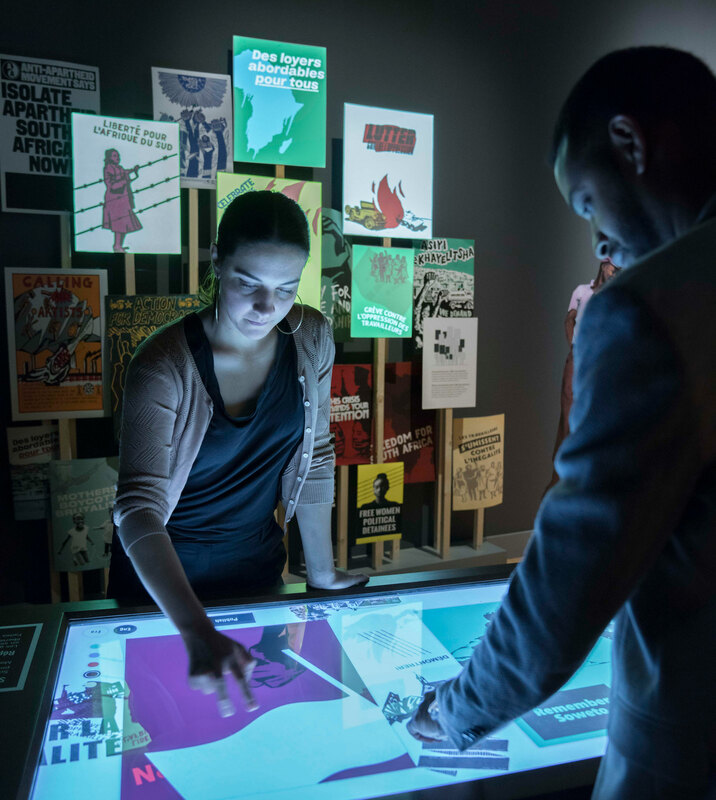 In the poster-making activity in “Mobilization,” visitors are invited to create posters for human rights by using a large-scale touch-screen table. 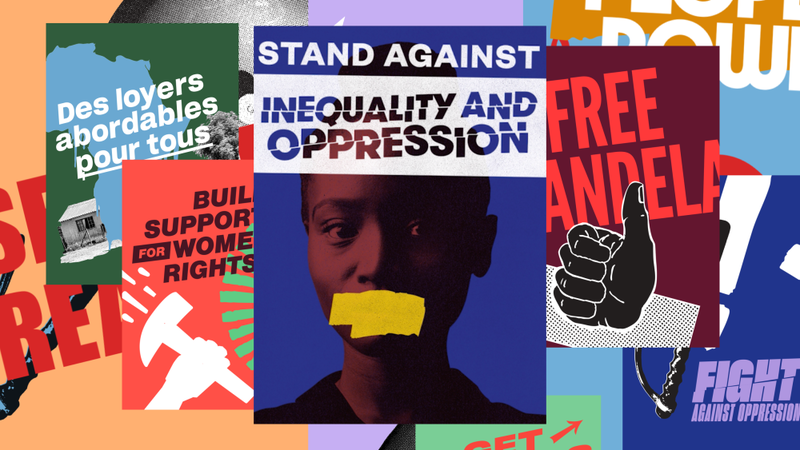 They design their own posters through a virtualized collage interface using colour, symbols, and phrases in both official languages, to express their solidarity with human rights struggles. Once published, their posters appear in the gallery projected on the large wall alongside recreated posters from that time period. The posters are simultaneously published to a Tumblr page, where they can be easily shared through social media. 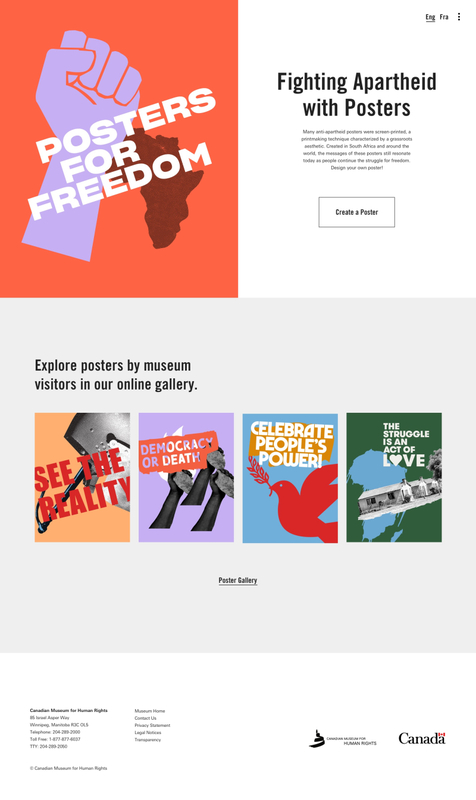 Posters can also be created through the website https://postersforfreedom.ca, which allows visitors and educators from anywhere in the world to create posters that, when published, appear in-gallery along with other visitors’ posters. 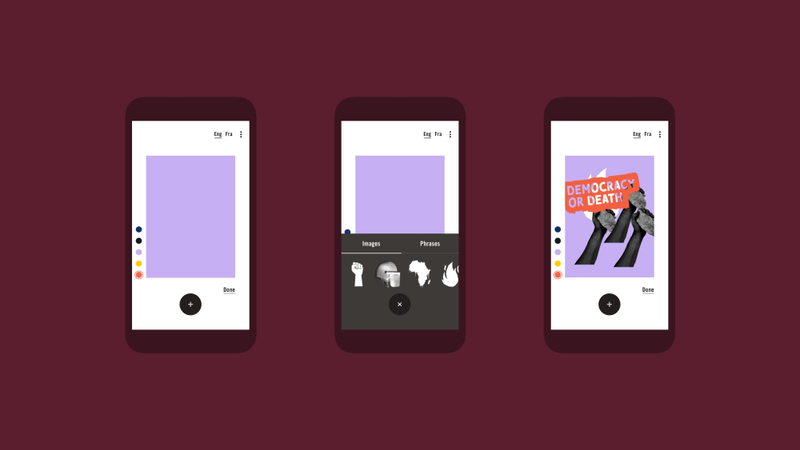 This extends the activity far outside the museums walls, and allows for broad artistic expression, fostering dialogue about the use of art as a means of expression and social change. 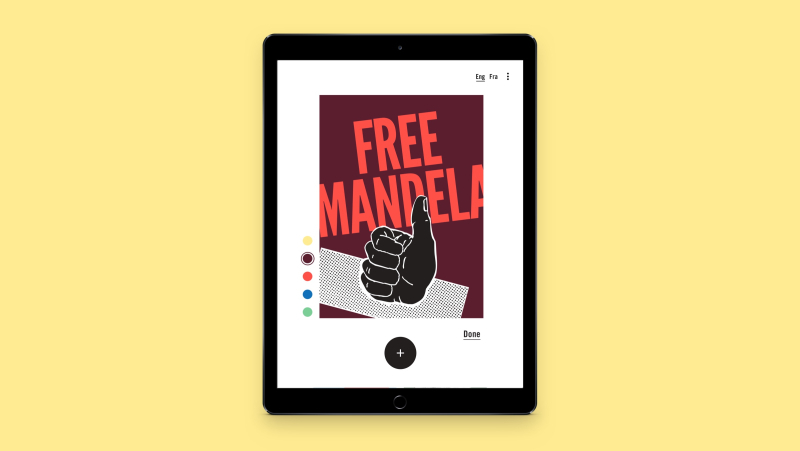 The Posters for Freedom website is a bilingual, accessible, online companion piece to the Posters for Freedom in-gallery installation, both a part of the Mandela: Struggle for Freedom exhibit commemorating the 150th anniversary of Nelson Mandela’s birth. 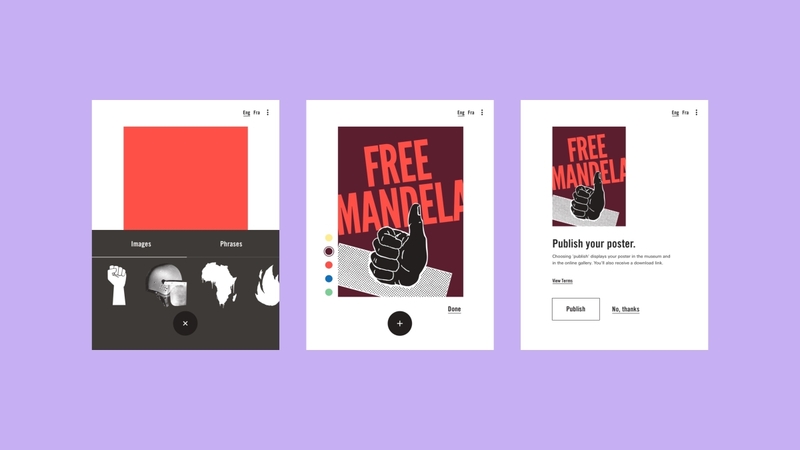 Mandela:Struggle for Freedom – Poster Making Activity. Screenshot of iPad version available online. The web version publishes to the gallery simultaneous to the touch-table interactive, so visitors on & off-site can create posters. 25% of the approximately 2000 posters a month generated are created online v.s. the in-gallery table. Posters created by users of the Posters for Freedom interactive. Wide shot of the Mobilization section of Mandela:Struggle for Freedom, with the Poster Making Activity located at the centre of the image.